Are you searching for a new cooker but not sure which type to go for? The cooker you choose will depend on the previous cooker you have used and, of course, your personal preference when it comes to cooking. This blog highlight’s the pros and cons of gas and electric cookers, to inform you of which cooker is suitable for your needs. While both of these style cookers do a great job, they both have advantages and disadvantages. Which is cheaper to run? Both gas and electric cookers cost money to run, but they do differ greatly in how much they cost. If you use an electric cooker, you will use less energy but as electricity costs are more than gas per unit, you may end up paying slightly more for an electric cooker. If you were to use your cooker for around five-hours per week, tests have shown an electric cooker will cost you on average £40 per week while a gas cooker will cost around £17 per week. Not to mention, gas cookers tend to retail cheaper also. While we understand, it’s not always about how much it will cost you, this will influence which cooker you purchase. Advantages and Disadvantages; Which cooker is best? Gas cookers are great for simmering food as they offer quick and easy-to-control heat temperatures. Overall, the cooker hobs provide even heat for the base of your pan. Therefore, you spend less time preparing your dinner to get it cooked properly. They are also cheaper to run, compared to electric cookers. As a result, you’re going to save more money if you cook with a gas cooker. Gas hobs are a lot slower than electric hobs, meaning they take longer to warm larger volumes of food. If you’re planning on cooking large meals each night on your gas hob, we recommend you safe yourself some time and go for an electric cooker. Gas hobs can sometimes be harder to clean as they have raised burners and pan supports. Trying to clean them does become slightly trickier and time-consuming. As gas hobs have raised burners and pan supports they are more susceptible to collecting dust and excess food from spillages. A gas cooker has less even heat distribution in the ‘oven’ compartment compared to electric ovens, making it harder for the heat to circulate around the cavity of the oven. This means the heat will stay at the top of the oven, rather than the bottom. While this is seen as a disadvantage for some, others utilise this element as they cook different foods, with different cooking instructions, at the same time! Conclusively, installation of a gas cooker can also be a tricky one and you are required to have a qualified professional to install your appliance – this does cost, so bare this in mind if you are thinking of purchasing a gas cooker. While there is no definite answer to which cooker is best, as experts, Cooker Spare Parts can advise you of the advantages and disadvantages of each cooker, to make sure you’re buying the most suitable cooker for your home and your requirements! Electric cookers evenly distribute its heat, this is because they have fans, which help circulate hot air around the cavity. This means your food will tend to cook evenly and will take less time (this is a great benefit if you are cooking large meals or are looking to cook a meal quickly). 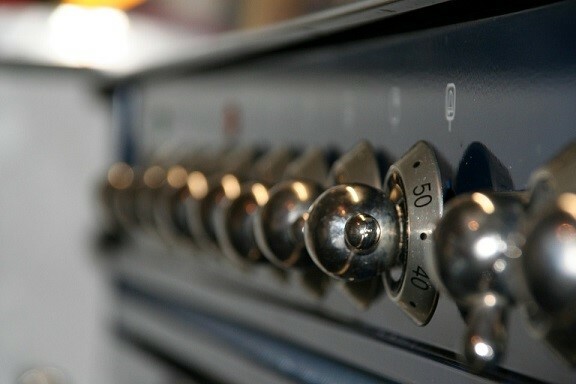 Electric ovens also tend to have different heating elements that you can utilise to your advantage. 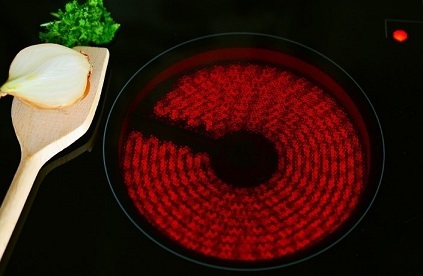 With this element, you can cook multiple meals at the same time. For example, using your grill and fan to cook different meals (perfect for families with children or those with different food preferences). If you tend to cook a lot, have a large family or, are a messy cook (this is not a bad thing), then an electric oven would be the cooker we would recommend. Electric cookers are much easier to clean and take less time to clean – so, if you’re in a rush or cooking a lot, it saves you a lot of time and stress when it comes to the deep clean. If you purchase an electric cooker that has ‘induction cooking’ you can speed up cooking times; induction cookers heat up faster which is great if you’re in a rush and are looking to whip up a quick meal. Finally, it has been proven that electric cookers are better at grilling food to that of gas cookers. So, if you like to grill your food then we’d recommend an electric cooker. Electric cookers cost fractionally more, so your energy bills will be slightly higher if you opt for this cooker style. Electric cooker hobs tend to take longer to cool down as they retain heat after they have been switched off – be careful if you have little ones, as they can be very hot to touch after they have been switched off! Cooker Spare Parts can inform you of the types of cookers available and how they can work for you. However, it really depends on your cooking preferences as to which cooker is best! Both gas and electric cookers do a great job at cooking but they do have different functions so, make sure before buying, you are aware of their pros and their cons. If you do have any questions about which cooker is best, don’t hesitate to give our friendly advice team a call or email; you can find their contact details here. Additionally, at Cooker Spare Parts we stock a range of gas and electric cooker replacement parts so at any time you find your cooker in need of fixing, we can help too! Learn about gas cooker hoses and the hoses available from Cooker Spare Parts. Gas Cooker Repairs - How To Fix Your Faulty Gas Cooker! 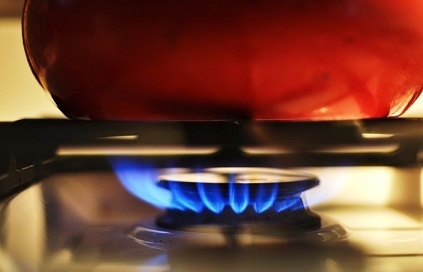 Has your gas cooker become faulty? Unsure what is causing it to break? We can help!